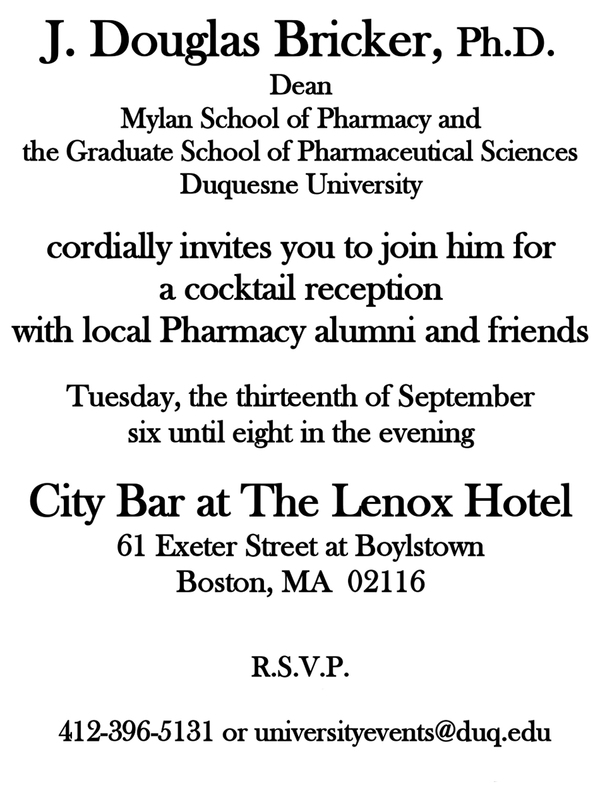 Attention all Boston-area Duquesne University School of Pharmacy alumni! 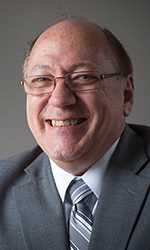 Mark your calendars for a cocktail reception with J. Douglas Bricker, Dean of the Duquesne University Mylan School of Pharmacy and Graduate School of Pharmaceutical Sciences, local alumni and friends Tuesday, Sept. 13 starting at 6 p.m. at the City Bar at The Lenox Hotel (61 Exeter St., Boston, MA 02116). RSVP by calling 412.396.5131 or email universityevents@duq.edu ASAP.